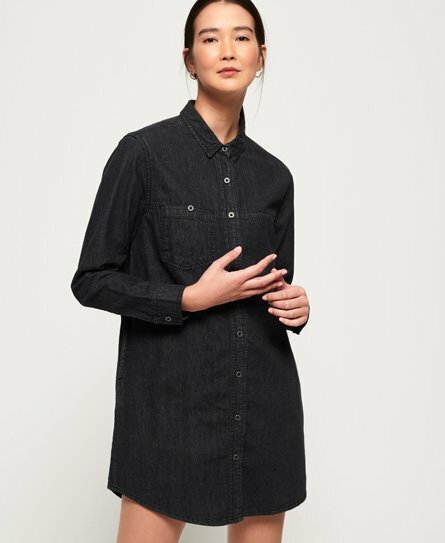 Superdry women’s oversized denim shirt dress. Perfect for this season, the oversized denim shirt dress features a button fastening, a single breast pocket and two side seam pockets. This classic denim dress with a twist is finished with button fastenings on the cuffs and a Superdry logo badge on the chest.